This is big. The top manufacturer of cellular boosters for the US market has agreed to buy its largest competitor. 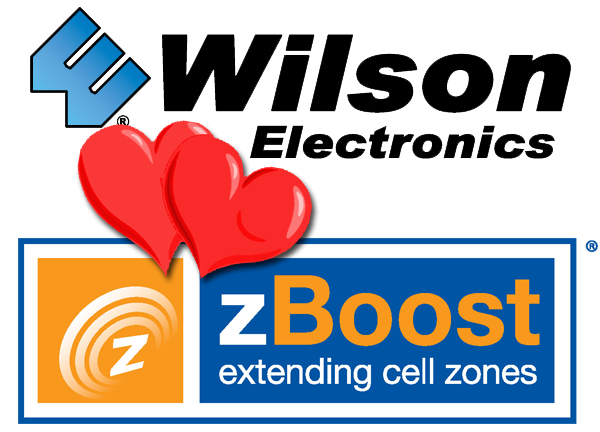 Wilson Electronics today notified us that it has recently acquired zBoost. Until now, Wilson has primarily been known for its large commercial installations while zBoost has been known as a great “plug-and-play” choice. While both companies have dabbled in each other’s markets, there will now be one strong company whose products serve customers from smallest to largest. Will zBoost’s products become obsolete? Absolutely not. zBoost’s products will continue to function as intended, and all current zBoost products are expected to pass the upcoming FCC certification. In fact, Wilson representatives have told us that there will be no immediate change in day to day operations at either company. You can feel good about your purchase of either a Wilson or zBoost product. Is this move good for consumers? Combining Wilson’s financial strength with zBoost’s innovation will make for the best possible boosters. It’s not an anticompetitive move as there are other strong players in the market as well. It will make it easier for us to recommend a wider selection of boosters to all our customers and help raise consumer awareness of boosters in general. For now, as we said there will be no change in either line. As new products get certified with the FCC, we expect to see changes and synergies. The end of phone numbers?